Tween Spirit: Teaching and Raising Tweens: "Sun"sational Savings Coming Your Way! "Sun"sational Savings Coming Your Way! 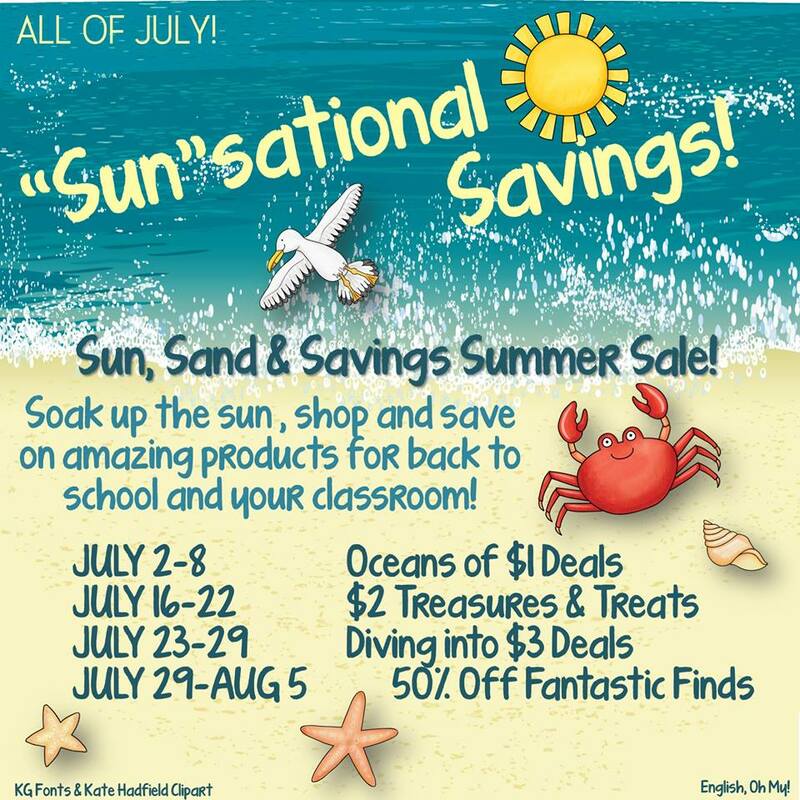 Last summer, I joined up with some of the best TpT Teacher-Authors around to offer back to school savings on some of our best products AND we are doing it AGAIN this year! Each week, we'll have special products marked down for ONE DAY ONLY, so you've got to jump onto Instagram or Facebook to follow us at #sunsandandsavingssale each week to see what we've got for you. 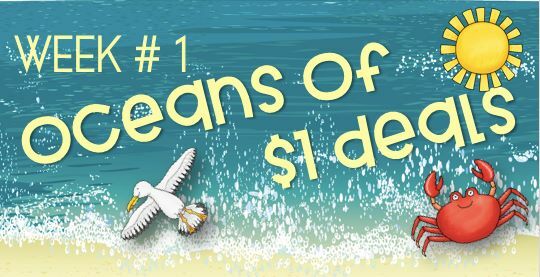 Sales will run every Monday, Tuesday, and Wednesday each week in July (except July 9-15). There will also be an awesome giveaway each Saturday, so make sure you register for those too! Here's a hint of what's coming your way! Starting Monday, July 2, check out my Instagram feed @Tween_Spirit_Tpt or search #sunsandandsavingssale to find the link to our sale items! (psst...I'll be posting a Task Card set, a Color By Code activity, and a Reading Comprehension activity each for just $1!) Look for this (or similar) graphic on Facebook and Instagram to find your way to next week's deals! It's never too early to plan for the new year! Especially, if your school year starts in early August like mine does now! (I'm still getting used to Florida living ;) I'm used to having until Labor Day before going back to school!) Happy shopping and saving!